So today I woke up real early. The sky was black—extra black. I couldn’t see real good but I got on up. I combed my beard and got myself ready and I put on my new hat. 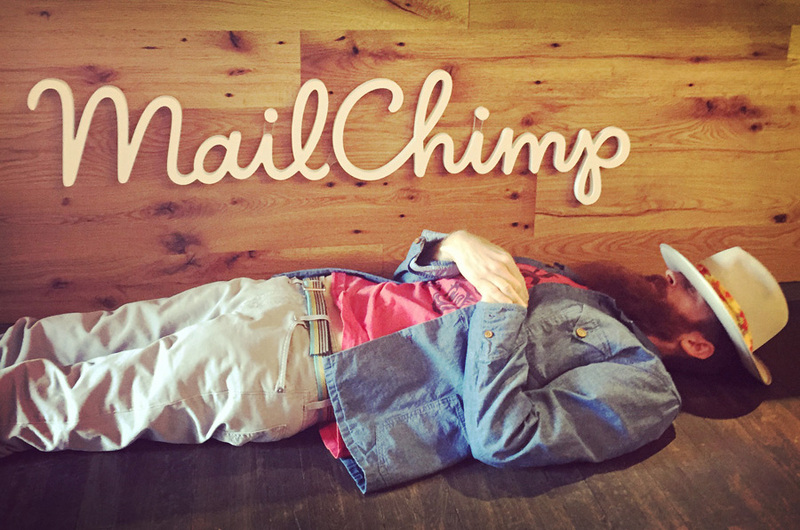 We went to the new Ponce City Market and I checked in at MailChimp. Today was the day I gave my Coffee Hour Talk. I had a fancy clicker and a lapel microphone. I walked around and gave a good ol’ talk. I really had a good time. It was a fun time tellin’ stories. 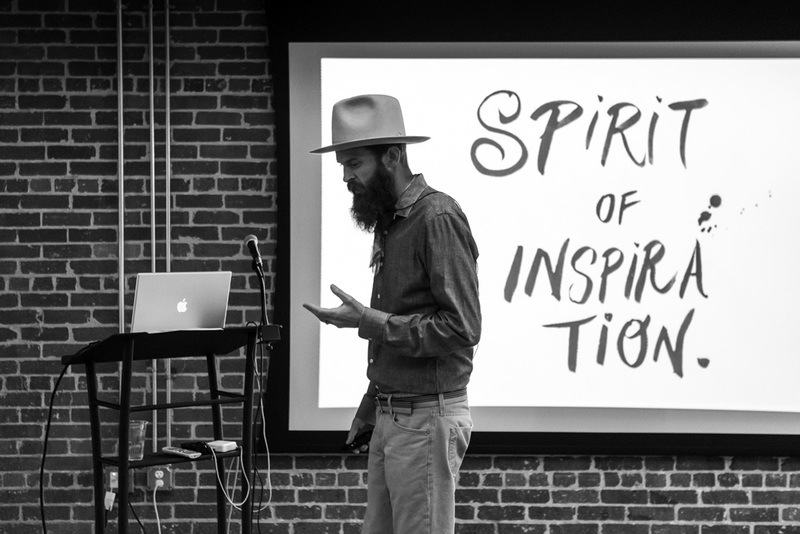 I spoke about the Spirit of Inspiration. I spoke about the washing machine of thoughts and the evolution of one’s creativity. I also got down on one knee and sang a little song I wrote about Hobo Town. Then we had a fancy photo shoot and I think that was a pretty good way to start a Friday. 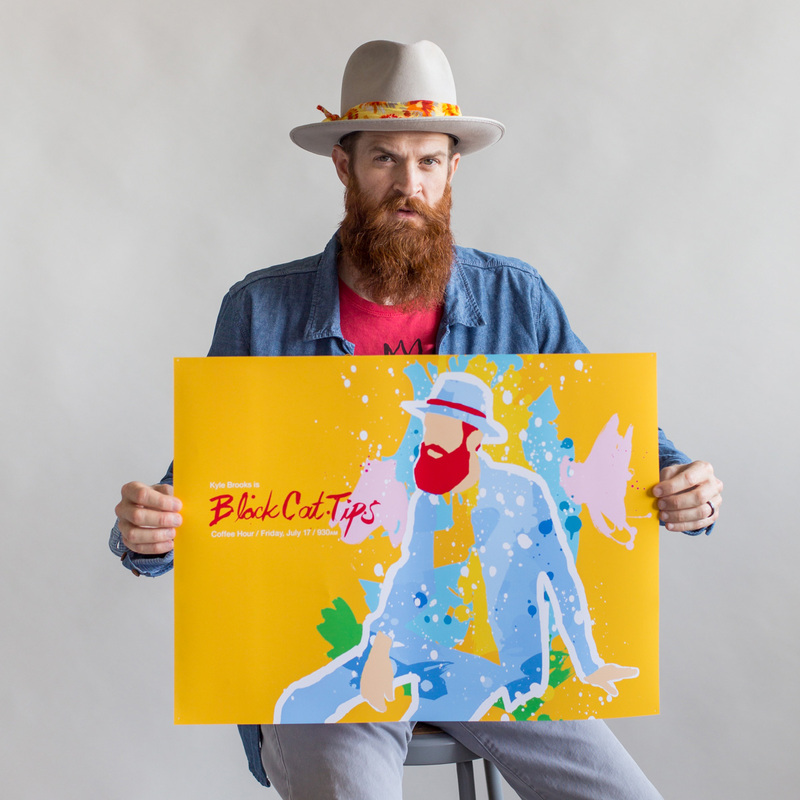 Thanks to MailChimp and Jason Travis for being so good to me. Above photos by Jason Travis. 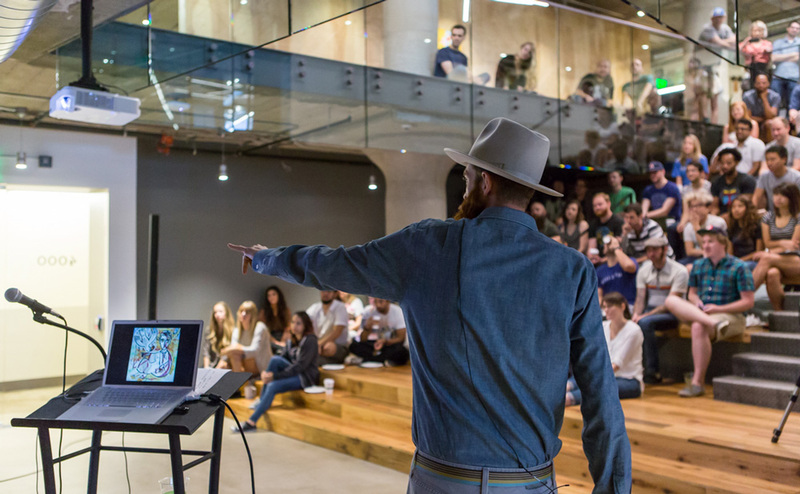 This entry was posted in speaking engagements and tagged blackcattips, brooksboy, coffee hour, freddie, kyle brooks, mailchimp, speech, spirit of inspiration. Bookmark the permalink.